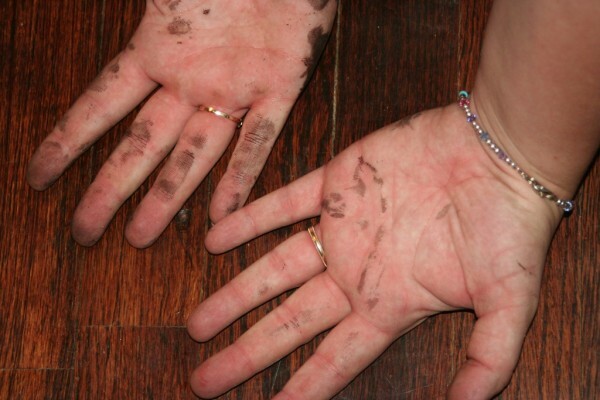 Polyurethane and soot creates an interesting Dalmatian effect removed only by something stronger than soap and water. Sweet friends watched my kids today while I put a coat of polyurethane on eight stools. Then tonight I cleaned the chimney. And then I searched for paint thinner.